Aloe Vera (Aloe vera): growing, planting, caring. 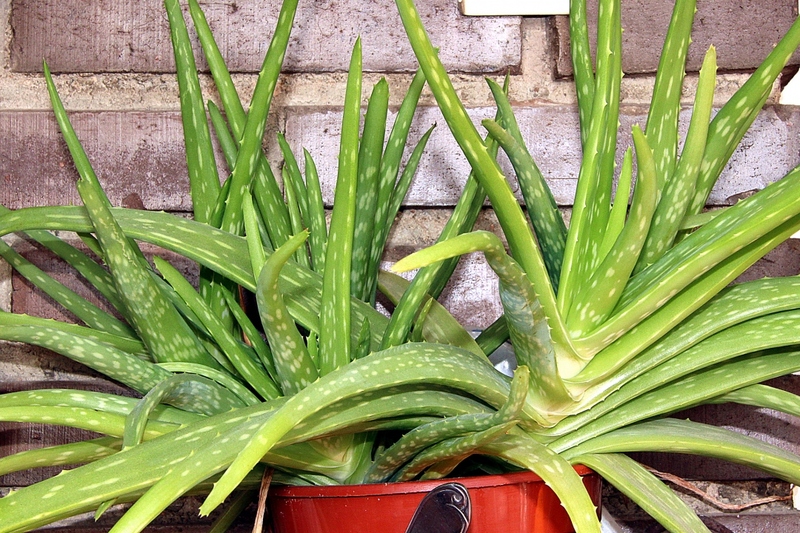 Aloe vera is a decorative house plant that's easy to keep alive. It has been used for 5000 years to treat skin ailments. Grow it in the light, in an airy space, with rich soil mixed with sand and perlite. 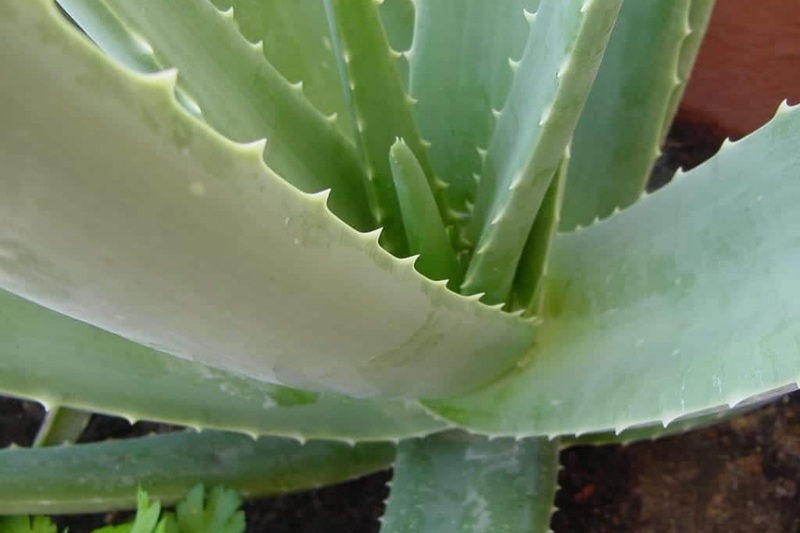 Aloe vera often produces new suckers — these are what you will use to obtain new plants... These new sprouts often occur when the mother plant feels squeezed in it's pot. They tend to be slightly green than the leaves of the adult plant and also lack the spiny edges on their leaves once they first emerge. When one of these sprouts has grown to 7 to 10 cm, remove the earth at the base of the young sprouts to see if they are attached to the mother plant. If this is the case, cut them off at the base with a sharpened, sterilized knife, knowing that the young plant will stay attached to it's roots, if there are any. Let is dry out for a few days until you see a "callus" — it'll be a small bulge — at the base, normally within a few days. Plant the young sprout it it's own contained with well drained soil, and don't bury the leaves. As the root node is probably very small or inexistant, you will probably have to support the sprout with a layer of pebbles, as well as leaning it against another object. The root system should be strong enough to support the new plant in a few weeks! Water after a few days, lightly to start! If the leaves become flat and droop, increase it's exposure to the sun. Aloe leaves should grow directly up or outwards in an angled manner, towards the light of the sun. If they extend towards the ground or grow straight out to the sides, it means the plant probably isn't getting enough sun. Move it to a sunny space. If it's inside, think about bringing it out for a couple hours during the day. On the other hand, if the leaves turn brown, reduce it's exposure to the sun. If the leaves are thin and curled, increase watering! And if the leave turn yellow or sag, stop watering. Yellowed or curled leaves are suffering from an excess of water. 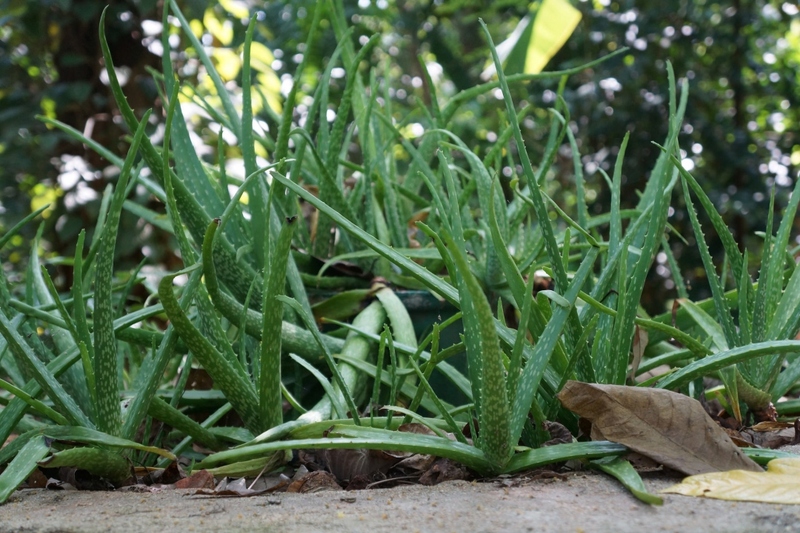 Aloe vera isn't sensitive to disease, unless it's overwatered. It can still succumb to attack from mealybugs, thrips or scale insects, and may suffer from mildew. Mealybugs are biting, sucking little insects covered in a sort of waxy, powdery carapace. If the leaves stick together or become covered in black marks, and infected parts of the plant dry out, spray on rapeseed oil to suffocate them. Thrips are a small, ravenous insect, 1 to 2 mm in size, that appeasr in warm or dry weather, somewhat like red spiders. Spraying water mixed with a little bit of soap on the leaves as soon as they appear should hold them off. In any case, keep a close eye on the frequency of your waterings, and even the air humidity in the room.